Confused if to upgrade to Moto G(3rd Gen) or not. We will help you out. Lets look at our quick comparison. Last year Motorola offered a device in a affordable price range which helped them deepen their roots into the cellphone market. This year they have come up with a revamped version of the same device. But is it worth a upgrade? Lets find out in our comparison of the Moto G(2015) and the Moto G(2014). Motorola went with same display panel in the Moto G(2015) as it had in the Moto G(2014). A 720p display wasn’t the best Motorola could offer but yet it can suffice the needs of a average user. The 5 inch display is good for media consumption. But there are better offerings available at the same price. The biggest drawback of the Moto G(2014) was it was just 3G compatible having two SIM slots. Moto G(2015) has Dual SIM capability with 4G LTE options available for both the SIMS. There isn’t much difference in the processor . Motorola has upgraded from the Snapdragon 400(in Moto G-2014) to Snapdragon 410(in Moto G-2015) both being quad-core processors clocked at 1.2Ghz and 1.4Ghz respectively. Moto G(2015) has two variants with 1GB and 2GB of ram while Moto G(2014) has just 1GB ram variant. (We suggest to go with the 16GB storeage and 2GB ram variant which costs $220 or INR.13000) . None of the two have a removable battery hence you cannot swap the batteries. However there is a considerable improvement in the battery life of the Moto G(2015) as compared to the Moto G(2014) which has a below average battery life. 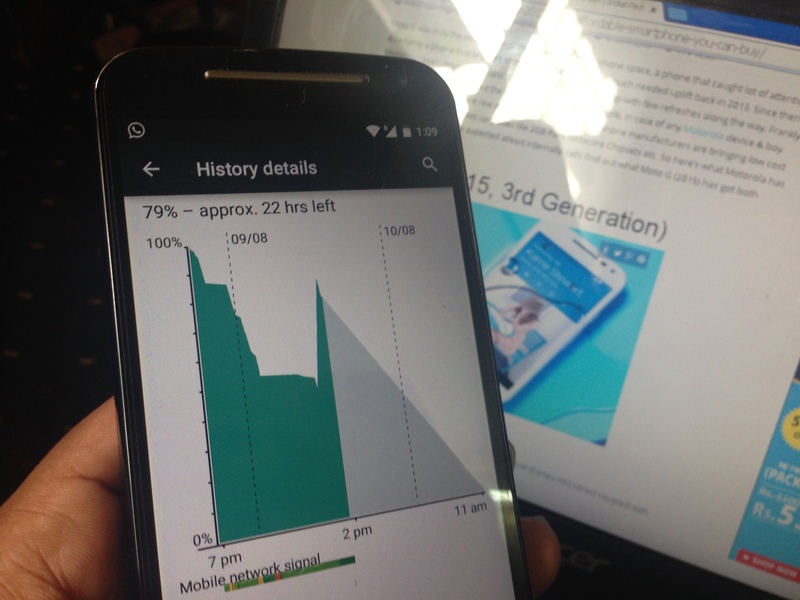 The Moto G(2015) houses a 2470 mAh battery while its predecessor has a 2070mAh battery. The Moto G(2015) gets full marks in the battery life department and if you use your device too much it would be worth a upgrade for you. 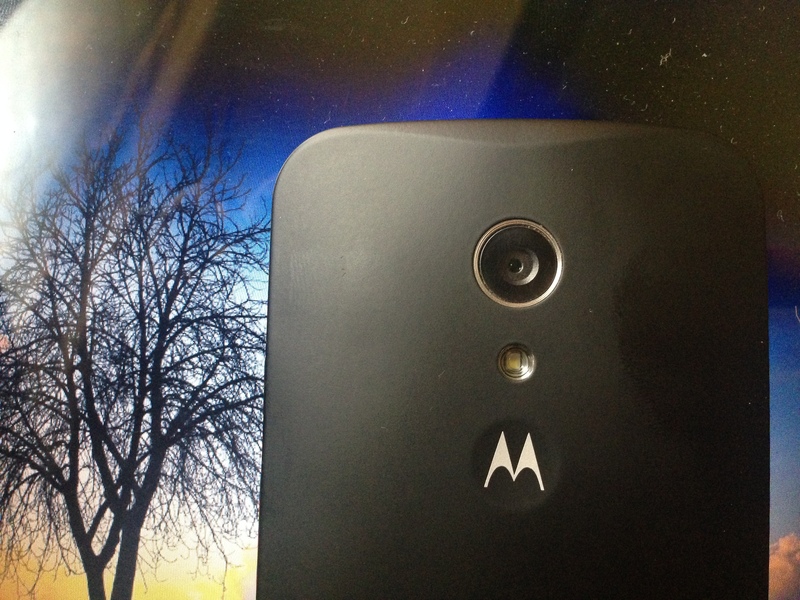 Moto G(2015) has the same 13 MP camera sensor as in the Nexus 6 however there is absence of Optical Image Stabilisation. The Moto G(2014) has a 8MP rear sensor with 720p video recording capability.The Moto G(2015) can click Videos at 1080p Full HD.The front camera is 5MP sensor on the Moto G(2015) while a 2MP sensor on the Moto G(2014). 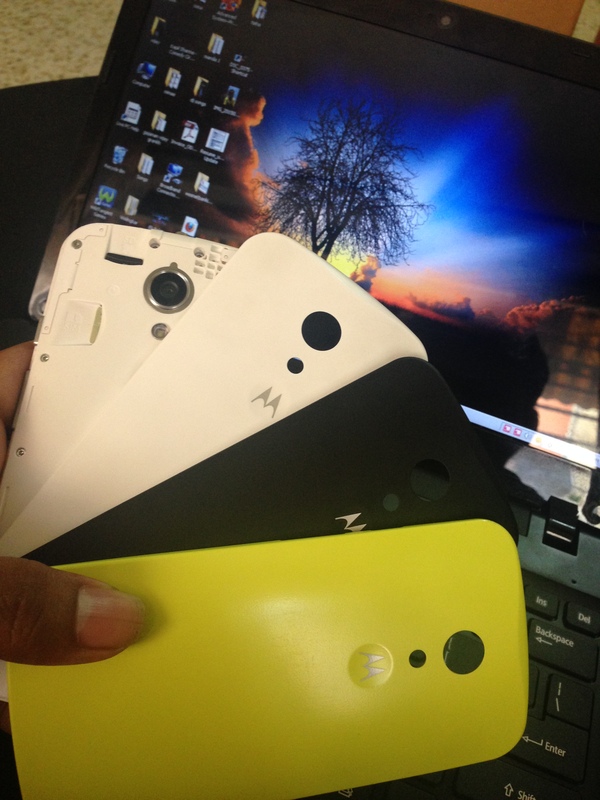 As per us it a big upgrade as Motorola has been lagging in the camera department. Both the devices house front firing speakers however in the Moto G(2015) only the bottom speaker is utilized for audio purpose while the Moto G(2014) has dual stereo speakers. So this would be a step back by Motorola and we are quite disappointed by this decision. 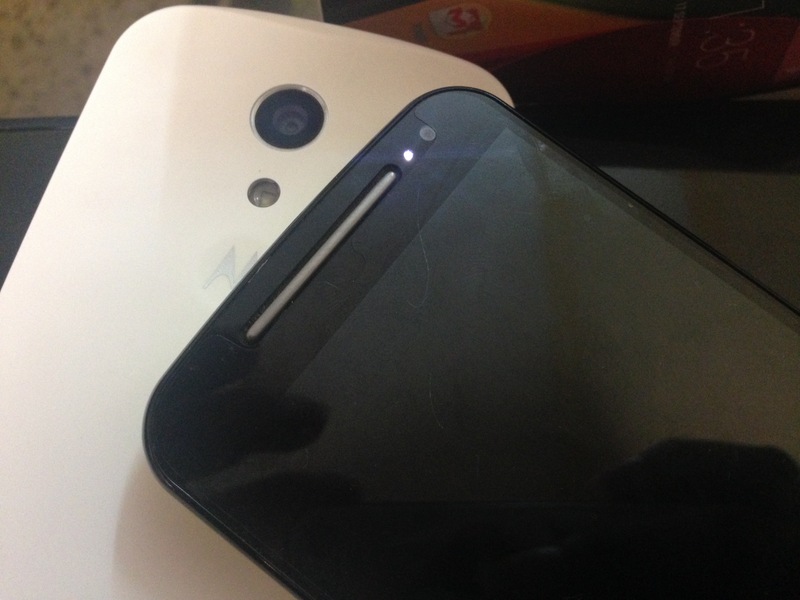 The notification light which was there in the Moto G(2014) has been ditched in the MotoG(2015). Instead motorola has provided the Moto G(2015) with active display which lights the limited number pixels on the screen to give a glimpse of the notifications you have received . Moto G(2014) was available in a single variant with 16GB of on board storage. However the Moto G(2015) has two variants with 8GB and 16GB of storage options. Both Moto G(2015) and Moto G(2014) have a expandable memory slot with MicroSD capacity of 32 GB. resistance capability is the biggest upgrade in the Moto G series and can change your mind of not upgrading to this device. Moto G(2014) offered you the option to change the backpanels and give the phone a new look. Motorola took a huge step and made theMoto Maker available for the Moto G(2015) which allows you to change the aesthetics of the device as per you choice. The backpanel, the camera strip, the front colour everything can be modified using the Moto Maker and make the device your own. Both the devices were launched in the same price range around at $220.